The Ceylon Tea Festival began with mingling and some tea tasting which was followed by a series of formal presentations by Ambassador Prasad Kariyawasam; Peter Goggie, President, Tea Association of the USA; David De Candia, Ceylon Tea Ambassador to the USA and Canada (appointed by the Sri Lanka Tea Board); Mr. Navin Dissanayake, Minister of Plantation Industries, Sri Lanka; and Mrs. Premala Srikanth, Director of Promotion, Sri Lanka Tea Board. 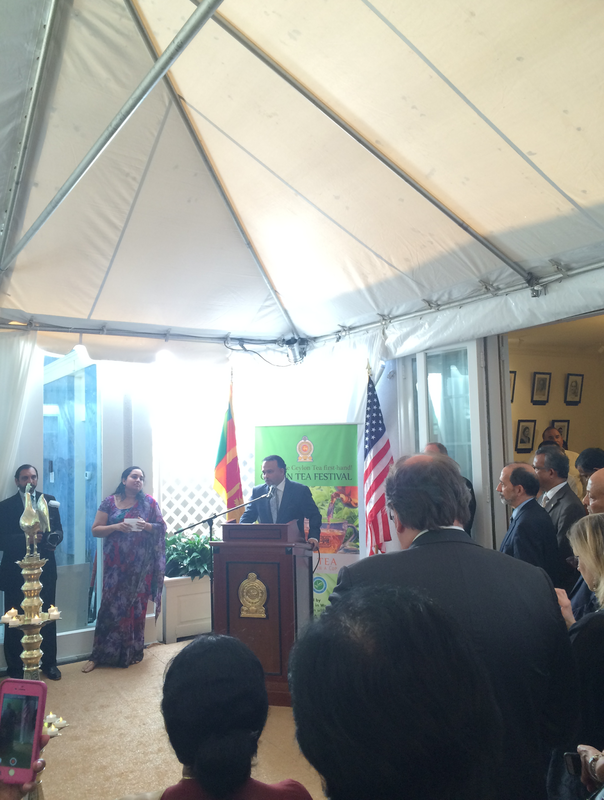 Most of the speakers highlighted the importance of storytelling to promoting the Ceylon tea brand. Sri Lanka produces very good tea, as do other tea producing countries. However, several factors distinguish Ceylon tea from other teas: its commitment to sustainability, ethical production (an eight-hour workday and no child labor), and handpicked harvesting and orthodox manufacturing (Sri Lanka is the number one producer of orthodox tea). Another memorable feature of the presentation was a PR video with the tagline: "Pure enchantment in a cup." I like that line. I hope the Sri Lanka Tea Board will produce different versions of the video to appeal to more diverse audiences. 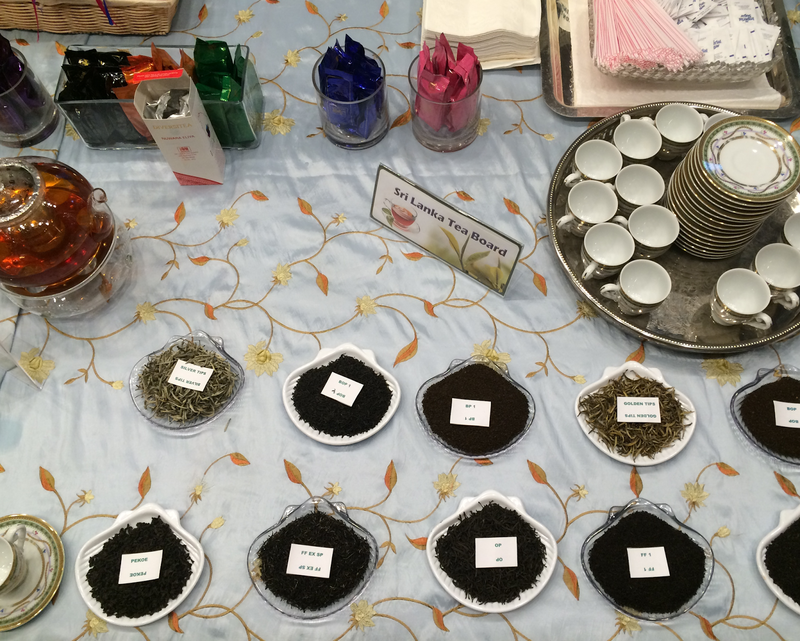 Tea tasting, socializing, and eating began in earnest at the conclusion of the formal portion of the festival. I sampled water from Sri Lanka's golden skinned coconuts. Sri Lanka Gold is refreshing! Elephantea caught my eye. Charismatic megafauna - check. Tea with an environmental and social mission - check. Did you know elephants used to clear paths on tea plantations? The company's founders wanted to reconnect elephants and tea. A percentage of profits are donated to elephant conservation including the Orange Blossom project. Another did you know: DYK that elephants don't like citrus? Farms are being ringed with orange trees to deter elephant trespass. The next table over featured Pure Nature teas which looked great but the company did not offer samples. I drank the iced tea and the two hot teas at the Walters Bay table. The iced tea is their biggest seller. The hot teas were loose orthodox leaf Ceylon Pekoe Noori Garden Mark and Ceylon OPA Maliboda Garden Mark. Both were very good but my preference was for the OPA which had more of a fruity profile. My favorite of two teas from Amba Estate, Tippy Golden Orange Pekoe OP1, was also fruit forward. 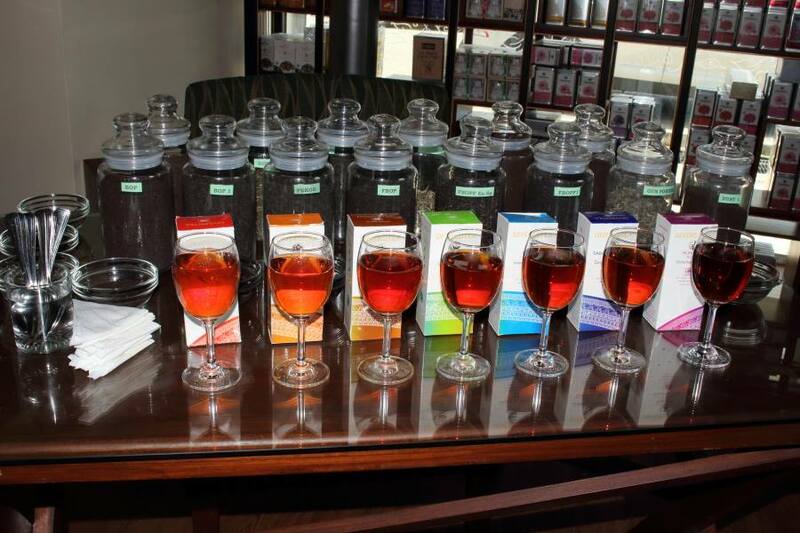 I capped my tasting with Sri Lanka's seven specialty teas which represent the "agro-climatic" regions of the country. The teas ranged from the lightest and most delicate in Nuwura Eliya to the most robust in Ruhuna. In between are Uda Pusellawa, Dimbula, Uva, Kandy, and Sabaragamuwa. I particularly enjoyed Kandy and Uva. Between tasting these teas and navigating the other guests I wasn't able to get a clear photograph of the tea-filled glass teapots. The display was very striking! Attending was a treat and a special opportunity to sample Ceylon teas. All the teas were new to me. I enjoyed the setting very much. The only other time I have been inside an embassy was to renew my passport. 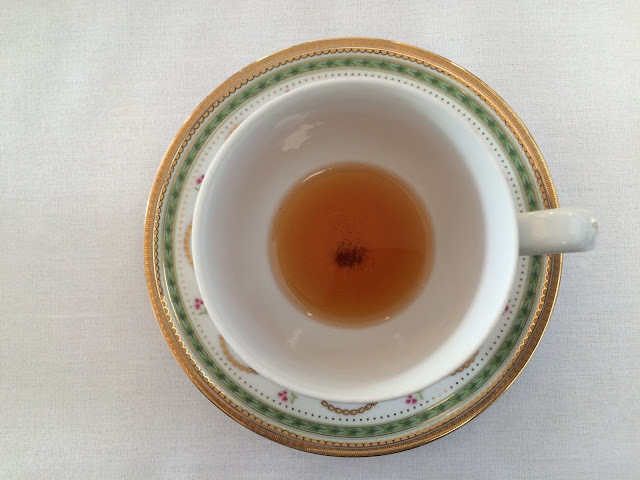 Have you had a chance to drink tea in an embassy? Great write-up! I really wanted to attend this event, so glad you were able to! Hi, Sara, thank you. The teas were quite good.